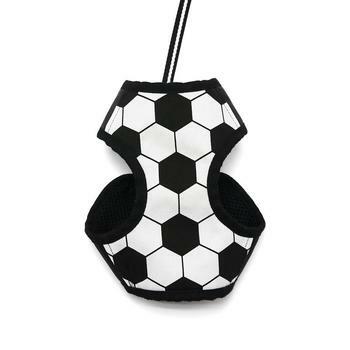 Sporty black and white step in harness' inspiration is a simple soccer ball. The best All-in-one soft harness. Easy, safe, and comfortable to wear. It features buckle-less step in design that is secured with a simple slide down clip. 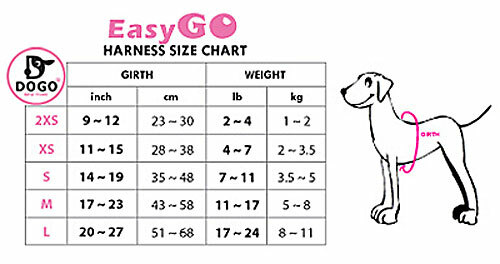 Matching lead included with every EasyGO. Measure around the girth for a perfect fit.